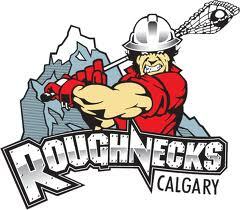 The Calgary Roughnecks announced today on their website that they would not be retaining head coach Dave Pym for the 2013 NLL season. The Roughnecks are coming off of a 12-4 season in which they won the Western Division but lost in the first round of the playoffs. The Roughnecks have not had a losing season since 2008, so the move is quite puzzling really. Last season was an excellent year for the Roughnecks until the postseason rolled around. Board will be looking atÂ candidates to fill the position as the off-season goes along.